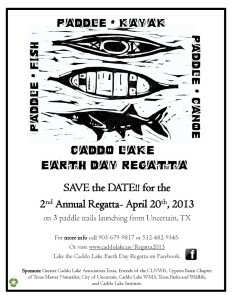 Last year the official Canoe-Kayak trails opened on Caddo Lake to bring those trails to the public eye they held their first regatta on Earth Day. Visit the Caddo Lake Institute for more details. 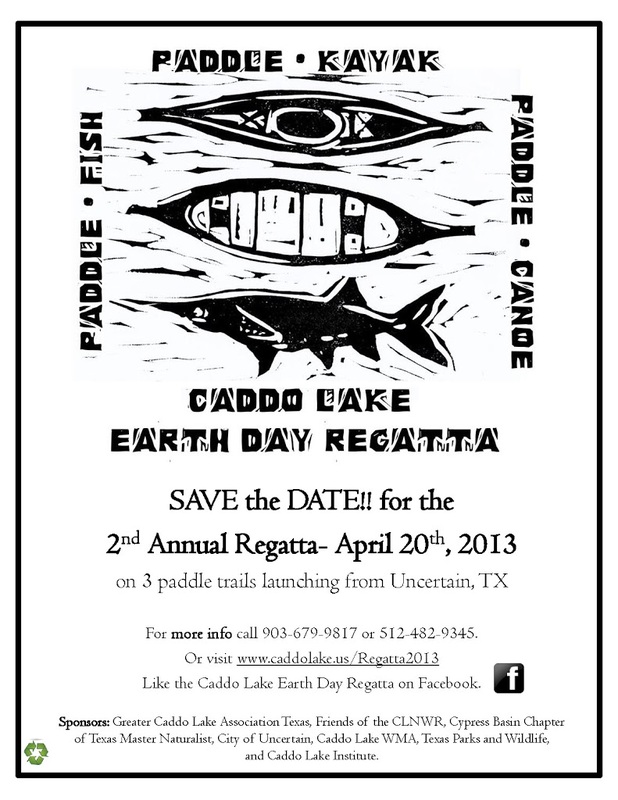 This year the Regatta is again Earth Day Saturday April 20, 2013. Three trails will be used and range from 4 to 4 .7 miles long they are Cathedral, Turtle Shell and Old Folk’s Playground. Launch fees will apply at the put in points. Pre-Registration can be done online HERE or you can register at the Registration tent outside the Caddo Grocery store at 834 Cypress Drive in Uncertain, TX beginning at 7am. Registration fees are $10 per boat. Make sure to pack your camera, water and maybe a snack for your day on the water at Caddo Lake. Please be sure to print a map to bring with you in case they run out at the Regatta office.